The new migrant route takes a more southern approach to reach the EU. A new migrant route has sprung up in the Balkans, and local governments are attempting to stem the flow. Governments in the region want to collaborate more in order to prevent another crisis. A new migrant route leading from Greece through Albania, Montenegro, Bosnia-Herzegovina and Croatia into Western Europe is posing fresh challenges to the Balkans. The Reuters news agency said that more than 5,500 migrants from Asia and North Africa had entered Bosnia using the route so far this year. 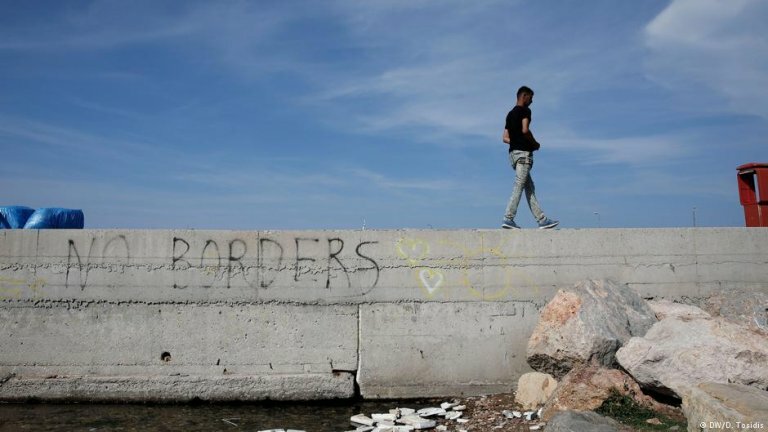 While this is a much lower rate at this point compared to more than 1 million who traveled along the previous Balkan route until it was closed in March 2016, the cash-strapped nations of the Balkans region remain apprehensive about the task of managing migrants. Countries on this new Balkan migrant route have now pledged to prevent a repetition of the chaos that ensued during the migrant crisis in 2015. Bosnian Interior Minister Dragan Mektic told the German DPA news agency in Sarajevo "we must not approach this crisis individually, in order to avert negative experiences from 2015," at the opening of a conference on the growing number of refugees and migrants stranded in his country. Bosnia's minister for refugees and displaced persons, Semiha Borovac, meanwhile told the conference in Sarajevo, which was supported by the International Organization for Migration (IOM), that sheltering the migrants was a priority. This recent rise of refugee numbers in the Balkans is bringing a new set of problems to certain areas. Some communities are having to bear the brunt of the migrant influx more than others. For instances, many migrants are reported as trying to cross from Bosnia-Herzegovina into Croatia via the border city of Bihac. There are now about 1,600 registered migrants in and around Bihac - a city with 56,000 inhabitants, according to DPA. Not all of them are able to continue the journey to the European Union (EU), as border police intercept many and send them back. With reports of violence erupting on these borders, many migrants are now hesitating to continue their journeys for the time being, while others are holding back from embarking on migrations altogether. Bostjan Sefic, the state secretary in Slovenia's interior ministry said that a key target in addressing the migrant influx in the Balkans should be to curb people traffickers, of whom 80 percent come from the region. Franz Lang, head of Austria's Federal Criminal Police Office, told Reuters that EU countries have recently discussed the idea of setting up centers outside the EU where asylum requests would be processed. "Egypt and Ukraine had been mentioned as potential countries," said Lang. "It's very important to try to prevent migrant routes from being long and dangerous, but to help people close to the source of migration." The European Commission said Thursday it would grant an additional €1.5 million ($1.77 million) in humanitarian aid for migrants and refugees in Bosnia. That brings the total amount of humanitarian funding for the Western Balkans to €30.5 million.